Are Amazon Storefronts Altering the Future of Small Businesses or is this Simply a Marketing Ploy? Here it is, the big question: Is Amazon Storefronts trying to compete against small businesses or help them? Amazon Storefronts is a new store for consumers to shop at U.S. small and medium-sized businesses via Amazon. In most cases, these are not new recruits—in fact, they have been working with Amazon for several years. Instead, they partner with Amazon, using the online store through Amazon Storefronts to sell their products. Notably, these small and medium stores have been competing for the same store space—that is, the first pages of Amazon search—since they started selling through Amazon. Amazon Storefronts—what are the details? The existence of Amazon Storefronts changes things. It gives a place for the “small stores” to compete against other stores for customer views. On the Amazon website, small and medium-sized businesses compete against large companies, as well as against internet marketers. There are 2 million sellers on Amazon, and they are all competing for views. In the Amazon Storefronts website, there are only 20,000 small stores competing for visitor views. This fact allows them to sell more with the same amount of work they do. What is the impact on other online retailers that compete against Amazon? Other online stores are already doing the same thing. Take for an example, Etsy—a website that advertises itself as a “global online marketplace, where people come together to make, sell, buy, and collect unique items.” Etsy uses this same model, helping small businesses to sell their products. However, Etsy does not have the prestige or the audience size that Amazon markedly has. Amazon grew because it sold products from small businesses to large enterprises along with diversifying through its web services and consumer products. The vast majority of their products are from large manufacturers and well-known brands. Therefore, it provides the large companies the edge in marketing and selling their products through Amazon. Think of it this way, over the past year, it has absorbed the value of Best Buy, Nordstrom, Target and a few others. So a small business is a very small fish in a very large and growing pond. In contrast, a small business selling niche products would likely have better chances at customer views on websites which cater specifically to small businesses. Given this, many creators sell through Etsy. As a store, Etsy provides product creators with a venue to show and sell their crafts. Etsy will surely be affected by the Amazon Storefronts, to what extent will be seen in the not to distant future. 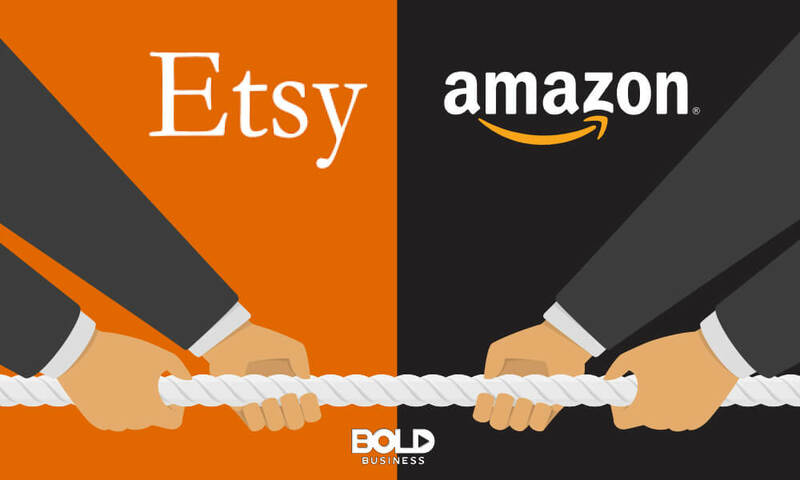 Is Amazon on a head-to-head battle with Etsy? Etsy vs Amazon Storefronts—who is ahead in the online retail battle? 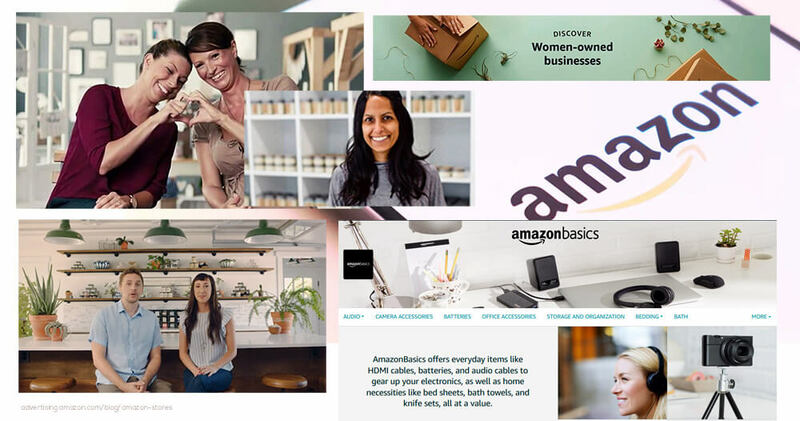 By launching Amazon Storefronts, Amazon is, in essence, creating a space that looks remarkably like Etsy. As of 2017, Etsy has had more than 50 million registered users, of which 1.93 million are active sellers. It sells more than 50 million products. Evidently, Etsy buyers are loyal to their favorite brands, with 81 percent of sales coming from repeat customers. Although e-commerce giant Etsy is currently bigger than Amazon Storefronts, Amazon is attempting to position itself as a friendly corporate behemoth. One that is attempting to encourage entrepreneurship and catering to small businesses. Amazon sellers would be from the same industries and markets as Etsy. Nevertheless, it is possible for Etsy sellers to also open accounts on Amazon and sell on both platforms. This scenario would be beneficial for the small businesses. When that happens, Amazon would likewise benefit more as sellers migrate to them. Would Etsy feel the brunt of Amazon Storefronts in its numbers? Still, a migration of sellers from Etsy would not hurt their numbers. If 20,000 Etsy sellers open shops in Amazon Storefronts, that would only count as 1 percent of Etsy sellers. Looking from the Amazon side of the equation—that is a doubling of their sellers. Etsy would not lose sellers, but Amazon would double theirs. It is difficult to forecast whether those with both Etsy and Amazon stores would be able to grow their sales. Either way, Etsy will take a hit, if only because Amazon is encroaching on their markets. 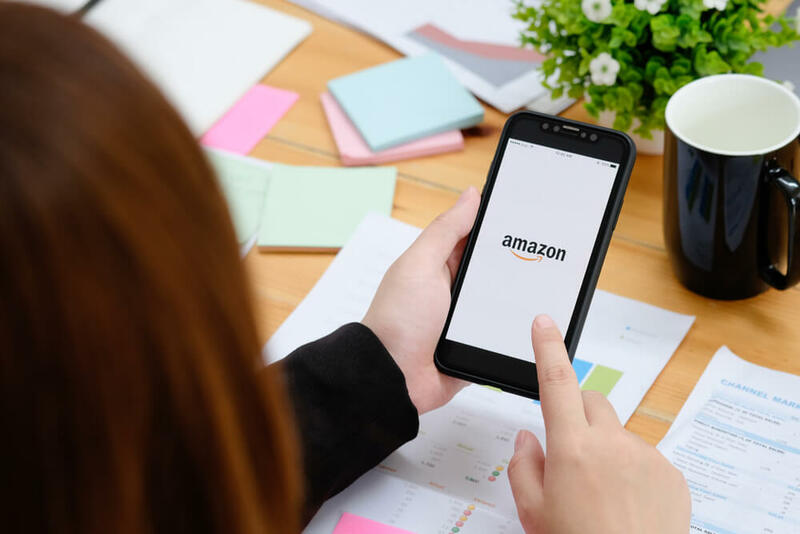 Amazon, as a whole, is a larger company and has the resources to use not only its superior financial might but also its technology prowess and consumer database on shoppers preferences. Why is Amazon taking this step? Amazon does not have a foothold in this niche market and they see it as a major growth market with one predominant opponent. With Storefronts, Amazon is entering small niche markets. It is a delicate balancing act as they try to be everything to everyone. Large enterprises can sell through their own distribution channels as well as through their own website. Smaller companies have to piggyback on Amazon and other online giants for more views and sales. With Storefronts, more small businesses can compete for customers. Giving small businesses the chance to sell means more income for Amazon. Amazon has made a bold move in introducing Amazon Storefronts to small business owners. Over the years, Amazon has drawn a lot of flak since the company started for shutting down small business. The growth of Amazon reflects the increase in e-commerce through the years which is disrupting retailers large and small. According to the Institute for Local Self-Reliance, a non-profit organization, the growth in e-commerce—with businesses compelled to join the e-commerce platform—has forced the closure of more than 85,000 small businesses from 2005 to 2015. To oppose this assessment, Amazon disagrees and announces in a report that they are not bad for small businesses, citing that in 2017, it helped 20,000 small businesses to earn at least $1 million in sales, and created 900,000 new jobs along the way. Amazon also uses its Big Data analytics prowess to undercut prices from the majority of the small and medium-sized vendors on the Amazon platform. 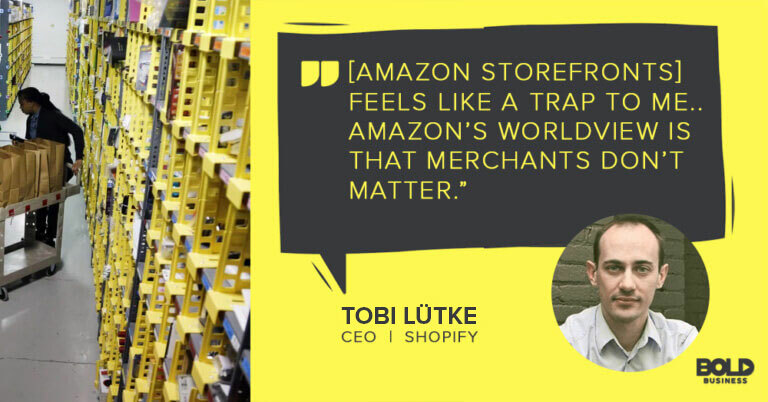 It can do this because of its sheer sales volume and ability to take a loss on a product to gain loyal customers and shift them to Amazon. At the same time, Amazon intends to put up their own brick-and-mortar stores, ousting physical businesses, in large cities soon. It just so happens that these are Amazon Go stores which have no front store personnel. Does Amazon Storefronts really deserve all the hype? Amazon will bring its considerable marketing resources to bear. It’s true that Amazon is currently a channel that is irrefutably unrivaled for SMBs. However, there is a quid pro quo understanding for SMBs to access that distribution channel: Business owners are confronted with the compromise to surrender any control over the customer experience. In exchange, the SMBs have the reach to attract more buyers. 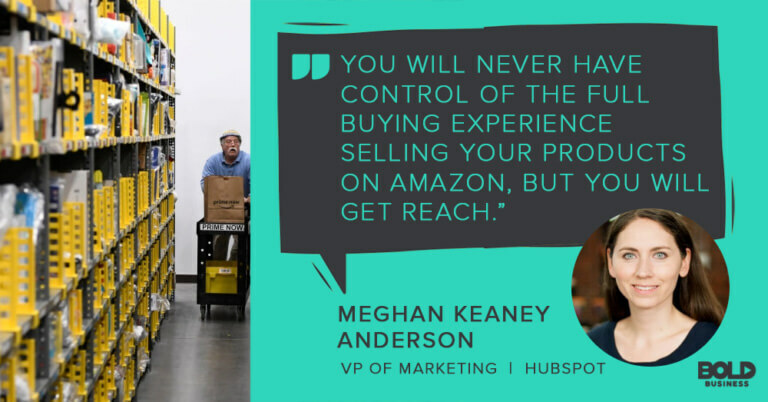 Selling through Amazon strengthens their customer experience on the buyer but often negatively impacts their margins. Nevertheless, SMBs can still have the reach they want even without Amazon. By going on their own and developing their brands, they can also create loyal customers and a community. Raising brand awareness could be done better without the need for Amazon Storefronts. What is the Bold Business opinion on what this means for the industry? For its competing online retailers, Amazon is encroaching on their niche markets. The smaller players will feel the pressure very early. On the other hand, larger online retailers will have time to counter Amazon’s move, although the cycle-time is rapidly reducing. 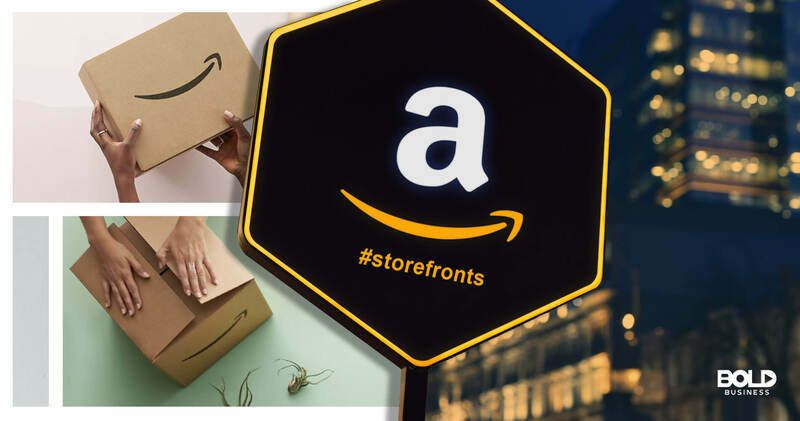 However, based on data outside Amazon’s reports and observations from prominent retail people in business, Amazon’s move to start Amazon Storefronts looks more simply like a consumer publicity play. Is Amazon trying to compete against small businesses or help them? 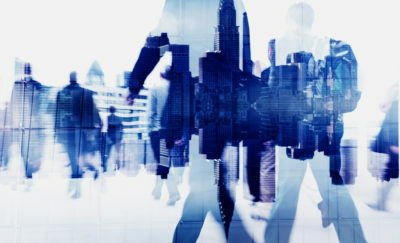 Thus, in our attempt to answer the big question opened at the beginning of the article, we’ve concluded this: Although it appears Amazon Storefronts is trying to help small businesses and entrepreneurs, the current picture in e-commerce right now shows that Amazon has the upper hand in benefitting the most—almost, dare we say, indirectly competing with small businesses to an unfair extent—in this deal.